Those are good times, more and more people are awakening to who they really are. More people are asking the questions of life "who we are, and why we are here?." More people are shifting into a new reality. Indeed a new energy is starting to rise and shine on planet earth. When i first experienced spiritual awakening i wanted everyone i know to feel and experience this too; it was so beautiful that i wanted everyone to just know of it. I remember how lonely i felt at times, thinking that it was just me, but after a while i began to see more of those around me going through the same experience. Every once in a while, i see someone shifting, transforming, aligning to his/her true self. I also see those who are struggling with their mind set, trying to find answers to their questions, and eventually they will. To my surprise; the shift, the new earth, the golden age, and many more other terms were said, and confirmed by many channels like Bashar, Kryon & Abraham. I now believe that we human beings have evolved, and are ready to shift into a new age that represents nothing but love and peace. Many of those who are living during these times are old good souls who are here to make a profound change. I come from a country where religion in its rigid form is so important to people, and yet i see people who refuse to think the old way. Not caring what the culture thinks, they reflect their new beliefs freely on social media websites, and even discuss them with their friends and families. I also see those who look at religion differently, they are starting to realize the spiritual depth of the holy verses like never before, and they look at those coming from other religious backgrounds in a different way. More people now refuse to believe that there is one correct way to reach out to God. This is a profound transformation that will definitely bring peace to earth. 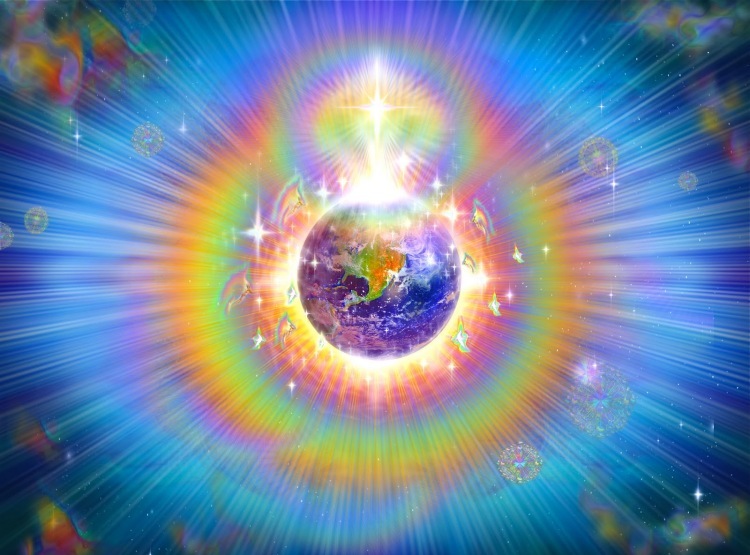 It does not matter if this energy was meant to come to earth from source, or if it is here because more people are awakening around the globe. What really matters is that this energy is here now, and it can be felt. As i thought about all this i checked the search trends for "Spiritual Awakening" on Google, and i was amazed when i saw a trend that can be used as a confirmation to the existence of this new energy. The picture below is a snapshot from the search trends for the word "spiritual awakening" since 2004 until present. This red curve illustrates the number of search queries per year, and as you see, the curve is shooting up, and am positive that it will continue to. We have worked hard, we went through a lot, but now we have evolved and will evolve even more as time goes on. It is very normal now to see someone who is experiencing some of the symptoms of spiritual awakening. It is very normal now to see people yelling at the top of their voices "ENOUGH with that, we want nothing but happiness, peace and love." I see light on earth. I see love and peace coming like never before. Look at the potential with this rapid increase in the numbers of those who awaken! Much more light will be reflected, the shift will double, and the outcome will be just great. This new energy is available to everyone, no exceptions. If what you are reading now resonates with something within you, know that this energy is available to you. Be aware that you can feel it, and become part of it too. It is not a coincidence that you are reading this post, maybe you are here to remember that this life is a big illusion if one is not awake enough to see things for what they really are. It does not matter if those around you are not awakened, actually 3 years ago i have never imagined myself reflecting those thoughts in a blog, because i did not believe in them. Energy, chakras and spiritual awakening were just a big joke to me, but here i am, completely transformed, and i just love it. You can not talk someone into awakening, because it really comes from within, and when it does, it is a very profound experience. When you let go of the need to change others, and just see how perfect and unique they are, you will be surprised when they awaken one day. It just happens. Thank You!